Watering: moderate; allow soil to almost dry out before watering again. 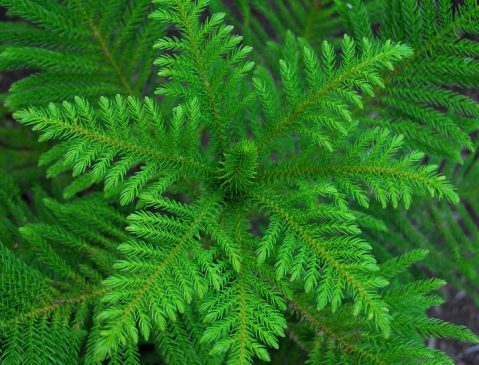 The Norfolk Island pine, with it’s delightful symmetry is a favorite at Christmas time, but makes a great floor plant any time of year. It adapts well and is fairly undemanding. To keep it’s growth even and its tiered branched well-balanced, rotate it regularly so that all sides receive good light.